After your manufacturer’s warranty expires, an extended car warranty can provide peace of mind knowing that any major repairs on your vehicle will be covered under the policy. In fact, you may even be able to take advantage of special perks beyond what you’re used to with the original warranty, like rental car service when your car is with the mechanic. The average car is financed for 72 months – that’s six years! If you’re still making car payments on an aging car (regardless of whether you bought it new or used) you may be nervous at the prospect of a major repair. Adding a little bit to your monthly budget through an extended car warranty may be much less strenuous on your wallet than being responsible for a major repair on your car. 1.1 1. Pick a plan to suit your needs. 1.2 2. Make sure you understand your policy. 1.3 3. Find out what your responsibilities are. 1.4 4. Review the exemptions. 1.5 5. Check if your mechanic is in-network. When looking at various extended car warranty providers, there are a few basic steps to follow during the review process. 1. Pick a plan to suit your needs. The first order of business is to find a plan that works for your existing vehicle. Most comprehensive plans will only be available for newer cars with low mileage. Try to find a balance between budget and what you think you’re going to need. Obviously, the major (and most expensive) parts of your car should be covered. But what about any technology in your car? Things like GPS and Bluetooth are fairly well known for malfunctioning and those repairs can quickly add up. You don’t want to overspend on your warranty, but you also don’t want to skimp out when it comes to certain add-ons. Take a look at your specific vehicle and first find the plans you qualify for. Then compare the cost to the allowable repairs. Oftentimes, you may be surprised to see just how easy the right choice is. 2. Make sure you understand your policy. Your policy may be several pages long and read like incomprehensible legal jargon, but you still need to look at it closely from cover to cover. Inside, you’ll find all the details of what’s covered with your warranty and what isn’t. If you’re having trouble understanding some of the finer points, don’t be afraid to call the company’s customer service line and ask for clarification. They’re trying to win your business, so it’s totally fine to get specific and spend a good amount of time on the phone if you need to. 3. Find out what your responsibilities are. Your extended warranty won’t stay valid if you don’t take care of your car. Routine maintenance is typically your responsibility. So you definitely need to keep up with your oil changes and tire rotation. If not, your warranty provider probably won’t pay for repairs if you haven’t held up your end of the bargain. This is a big part of understanding your policy. Make sure you know what your responsibilities actually are so you don’t accidentally nullify your contract. Then, make calendar appointments to help you remember when you need to perform the necessary maintenance on your vehicle. If an emergency repair does pop up, you’re all set for an easy claims process with your provider. Even the most comprehensive extended car warranty is bound to have some type of exemption. Review this list before you commit to a contract because these are the things that you’ll have full responsibility for repairing. The older your car is, the longer this list is going to be. It’s good to know ahead of time so you can financially prepare in case one of the exemptions breaks. If your car is newer, you may decide to pay for a more expensive plan in order to receive more coverage on your vehicle. On the other hand, you may decide not to go for the biggest plan since your car may be less likely to break down the newer it is. Do some research and use your best judgment. 5. Check if your mechanic is in-network. Another consideration to make when choosing your extended car warranty provider is how you can select a mechanic. At the very least, you can probably take it directly to the dealership for repairs and still have your claim covered. However, if you prefer a specific mechanic, make sure they’re qualified under your plan. Oftentimes, the warranty provider has some type of network that a mechanic must be in. For example, they might need a certain certification. Depending on how important staying with the same mechanic is to you, it might be worth shopping around. Otherwise, just review locations of in-network mechanics to make sure there’s one near you. When it comes to selecting a provider for your extended car warranty, there are quite a few red flags to look out for. In fact, it’s hard to come up with a recommendation list with 15 options because there just aren’t that many that meet a few basic, but important, criteria. While you certainly can buy a warrant through the dealership (we’ll show you how, shortly), this is invariably going to result in an upcharge because you’re basically dealing with a middleman. If possible, shop around for a direct provider that sells straight to the customer. That way you know exactly who you’re dealing with. Another red flag to watch out for is a company that doesn’t actually administer its own plan. Like a car dealership, there are also extended warranty brokers that just focus on the selling of the plan. Again, you’re dealing with a middleman. Should you ever need to file a claim, it’s likely to get complicated as you’re dealing with two separate companies to get the repairs completed and paid for. Finally, avoid selecting a warranty company that isn’t backed by an insurer. Unfortunately, there are countless cases throughout the country of car warranty companies that go out of business, leaving their customers out of their premium and with no remaining coverage on their vehicles. When your car warranty is backed by an insurance company, on the other hand, you have a way to make sure your claims are paid. Plus, insurance companies are regulated by the Federal Trade Commission. What does that mean for your extended car warranty? The most important thing is that an insurance company is required to hold enough assets to pay off all their claims. Additionally, you can better trust the fee you’re paying because insurance companies are required to base them on realistic claim expectations, not inflated estimates. The bottom line here is that you need to make sure your extended car warranty company has the longevity to actually be there when you need it the most. That’s probably not going to be in the first week of your contract. Instead, it could be a few years down the road when you’ve already paid months and months of premiums. Choose wisely right at the beginning in order to avoid a costly mistake in the future. After considering all of the red flags that should be avoided in the extended car warranty industry, we’re only left with a couple of options. Luckily, they’re good options – quality over quantity, right? We narrowed down the existing companies and found two that sell directly to customers, service their own contracts, and are backed by an insurance company. Our top choice is a company called Endurance. Our second choice is EasyCare. Keep reading to learn about a few key differences between the two, as well as how to evaluate warranties through your car dealership in case you want some more options. It doesn’t matter whether your car is a new purchase or a used one, it can qualify for an extended warranty through Endurance. Depending on the exact age and mileage, it could even potentially qualify for the Supreme Coverage plan. If your car is older or has higher mileage, you still have three other choices that it could qualify for. You just need to review each one and what it covers to make sure it works for your vehicle. For example, they generally still cover the main parts of the car (and the most expensive), like the engine and transmission. So if you have an older car, you can still drive easy knowing that those major repairs are included in your plan. Not only does Endurance allow you to choose from four plans to suit your car, you can also look at sample contracts before making a decision. This is pretty rare for the industry but is ideal because it allows you to know exactly what’s covered and what isn’t. 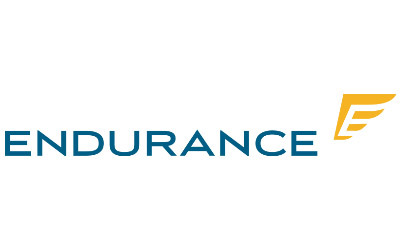 Even better is that Endurance clearly advertises that each plan is insured by Wesco Insurance. You can’t go to just any mechanic when you file a claim through Endurance, but you do have a fair amount of choices that are chosen to protect you and your car. You can either go directly to your dealership for repairs or go anywhere that’s licensed by the National Institute for Automotive Service Excellence. There are over 300,000 of these locations across North America, so you’ll easily be able to find one nearby. Whether or not your mom-and-pop mechanic shop qualifies is a toss-up, but you will be guaranteed quality workmanship through this claims process. 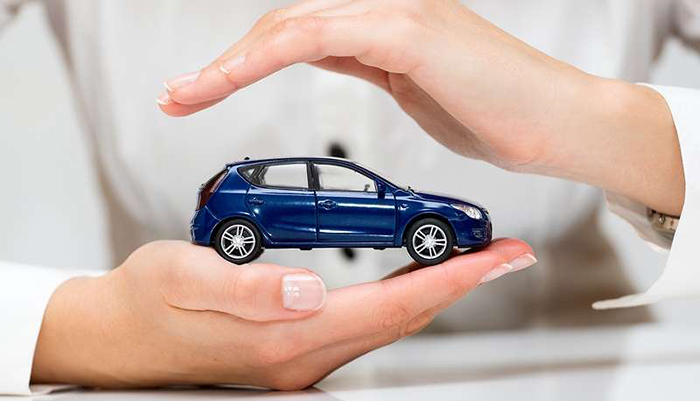 Another perk when you need a claim resolved with your car? Endurance provides you with a rental car so you can still go around no matter how long your repairs take. And if you break down before you get to the mechanic, you also have access to 24/7 roadside assistance regardless of which plan you’ve chosen from Endurance. The company also boasts upfront payment on your claims so you don’t have to wait for slow reimbursements. With so much transparency from Endurance, it should come as no surprise that the company also receives positive feedback when it comes to customer service. Most notable is that each plan comes with a 30-day money back guarantee. This time is just meant to be used for reviewing your plan, however. You can’t qualify if you actually use your plan during this period. Here are the four options from Endurance. You can review a sample contract for each one to get the exact details on what’s covered. Select Premiere: Designed for high-mileage vehicles, this plan protects the car’s vital components. Secure: This one covers the most vital options for a range of cars. It’s also the most affordable option from Endurance. Superior: With the highest level of stated component coverage, Superior is ideal for newer vehicles. You get a list of hundreds of parts that are included in your coverage. It’s top-notch so you have virtually nothing to worry about. Supreme: This is the maximum plan from Endurance. It’s comparable to the original factory warranty that came with your car. With just a few exclusions, you get the most coverage with this comprehensive. Plan. With so many options, you’re likely to find a viable option for your car and your budget from Endurance. Unlike Endurance, EasyCare limits the age and wear of the vehicles it ensures. Your car can be no more than two years old unless it has under 24,000 on it. Still, there are a lot of pros to consider with this extended car warranty provider. For one, the company has been around for over 30 years, so longevity is definitely there. 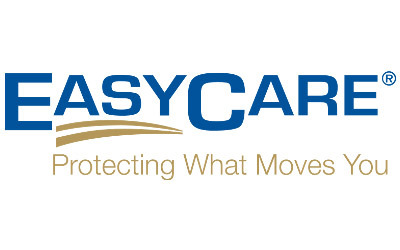 In addition to traditional vehicle coverage, EasyCare also offers plans for RVs, commercial vehicles, and even leased vehicles. EasyCare’s customer service is extremely accessible at multiple touchpoints. Before you even sign up, browse the company’s website to get questions answered, find sample policies, and read more about your coverage options. Once you get started with a warranty with EasyCare, you can access and manage your account information 24/7 through their online portal. There are also several ways to directly contact the company, including email, phone numbers, and support center hours. You can reach someone from Monday through Friday between 8:30 a.m. and 5:30 p.m. Eastern, and again on Saturday between 9:00 a.m. and 12:00 p.m.
Unsure if EasyCare is right for you? You automatically receive a 30-day review period when you sign up for a contract. If you decide you don’t like your plan, you can easily get your money back. EasyCare offers four options for your extended car warranty. Check out your options to decide which one is right for you. TotalCare: The most robust and most popular plan from EasyCare, this one has the broadest coverage. Not surprisingly, it’s also the most expensive plan. StatedCare: This plan doesn’t vary dramatically from the TotalCare plan. It still includes technology as a protected repair, so definitely consider the StateCare plan if you have a high-tech car. PrimaryCare: This is a good option if you want your basics covered, plus a few extras. In addition to the engine and other basic components, the PrimaryCare plan also covers your brakes, heat and A/C, and your fuel system. PowerCare: The PowerCore plan is fairly basic, but it will most likely keep your car driving. It covers major fixes like the engine, transmission, drive axle, seals, and gaskets. Transportation provided when your vehicle is being repaired for a covered issue. You can get reimbursed for a rental car up to six days, $30 per day. There’s also an upgrade option for an additional surcharge, which allows you to receive reimbursement up to $50 per day for the same amount of time. If you’re on a trip and more than 50 miles from home, EasyCare provides Trip Interruption reimbursement. This includes food and lodging reimbursement up to $100 a day for as long as three days. EasyCare’s roadside assistance is available 24/7 and includes emergency towing up to $100 each time, flat tire change, gas delivery, lockout assistance, and a jump start for your battery. You can also get road hazard protection, which repairs or replaces your tires and/or wheels if they’re damaged because of a road hazard. And if you’re thinking of selling your car to someone else, you can transfer your vehicle’s coverage to help make the sale. You can also purchase another contract for your vehicle once your initial plan expires. There are a few things to be aware of when purchasing your warranty from a dealership. Don’t worry, they’re not all bad, but need to be considered before you go in to negotiate. First, know that if you prefer, you can get an extended warranty and simply roll it into the price of your car loan. You’ll add a small amount to your monthly payment (and pay interest on it), but it could be a lot less than if you go directly with a warranty company. Your best bet is to gather those estimates from external vendors in advance. When you go in to buy a car, you’ll be ready to know whether or not the dealer’s offer is a fair one. That leads us to another point: the fine art of negotiation. Whatever price you’re given at the dealership for an extended warranty likely isn’t the best price they can offer. You can use your initial research from other service providers to get a better deal than their first offer. Just like most add-on products at the dealership, the extended car warranty is also negotiable. Don’t be afraid and remember that you’re not obligated to do anything. When in doubt, walk away and think over the offer on your own time and then come back with your decision. When you do negotiate your car and warranty at the dealership, make sure you look at the full cost of the loan. In order to meet your requirements for monthly payment amount, they may lengthen your loan term or increase your down payment amount. Stay in control of the situation by continually asking questions and carefully reviewing all paperwork. Remember before you sign, it’s not too late to walk away if you don’t like the final numbers that are on that contract. Don’t let anyone rush you – it’s too big of a purchase to be bullied into signing. Try not to rush the decision process no matter where you choose to purchase an extended car warranty from. Take the time to research your options, review contracts before signing, and check that you’re working with a company that has the longevity you need to actually take advantage of their services.